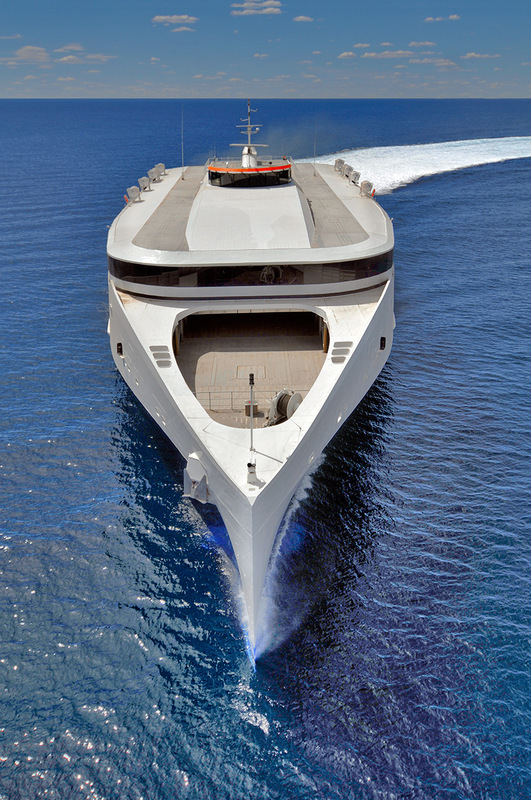 Austal is a global defence prime contractor and a designer and manufacturer of defence and commercial ships. For more than 25 years Austal has been a leader in the design, construction and maintenance of revolutionary ships for Governments, Navies and Ferry operators around the world. More than 250 vessels have been delivered in that time. The trimaran has seating for up to 1165 passengers, a capacity for 254 cars and a maximum speed of more than 40 knots. We were commissioned to photograph their new Next Generation 102m trimaran. Aerial work was from an R44 helicopter flown by David Adamson of Specialist Helicopters. The last frame is a behind the scenes view, just to show how close we were . We were flying sideways in front of the vessel, both going 40kts. All photos © John Davison 2012.